I know how it goes-you got that sewing machine for Christmas, you’ve wanted it for years. You dream of sewing beautiful, lacy pink dresses for your little girl. You think you’ll wow your friends with intricate Halloween costumes. You plan to create clothing for yourself that will magically make you look like you’ve lost ten pounds. But there are gears and gadgets and you don’t know what they do. There are words like bobbin and backstitching and bias and you have no idea what they mean. Your heart starts to pound and your palms start to sweat just looking at. So maybe that sewing machine got shoved to the back of the closet and it’s covered in a thick layer of dust. Or maybe you haven’t shoved it aside yet. Maybe you’re ready to grab the bull by the horns and learn to sew, but it’s overwhelming to get going and you don’t know where to start. Sewing can be very fulfilling. You can sew new projects and gifts, you can alter clothing that doesn’t fit right, make cozy blankets and quilts, and you can create lasting memories with the projects you sew. 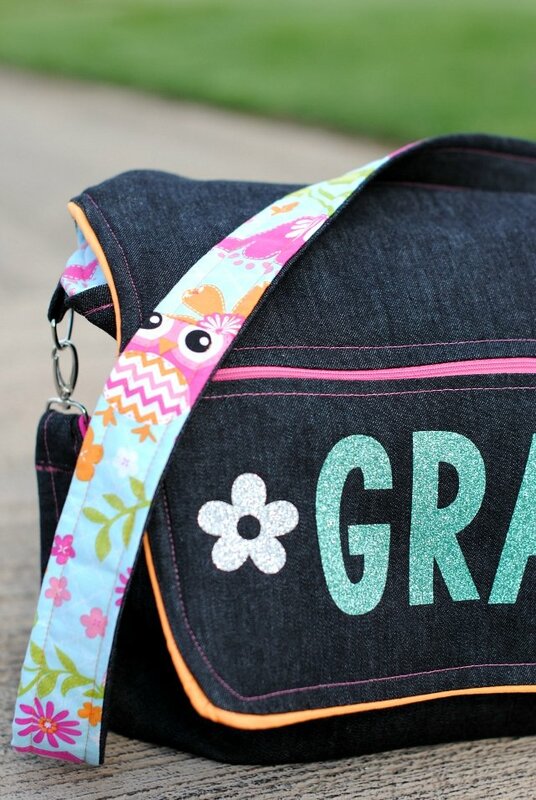 It doesn’t have to be hard, it just takes practice and patience, but soon you can be sewing like a pro. But you know what? Sewing for beginners can be a lot of fun because it’s so exciting as you learn what you are doing and start creating your first projects. You’re going to love it! Let’s learn to sew! Maybe you already have your sewing machine, but if you’re in the market for one still, it can be quite mind-boggling to try to figure out what machine to choose. They can cost anywhere from $99-$2,000 (and above) and how are you supposed to know which one will work best for you? What’s your budget? Do you want something on the very low end of the price scale or do you have a little bit more money to work with? Do you want to buy it locally or do you want to order it online? Some companies will include free sewing lessons when you purchase in store. If that interests you, you might choose to buy locally. You’re likely to find better prices online though, so if you are comfortable learning to sew online, that’s a great route to go. Do you want a lot of bells and whistles, or do you prefer something simple that might be easier to get started on? Both can be good options-sometimes simple is great. Or maybe you have some specific options that you want in a machine? Think about some of the things that matter to you. Of course, there are a lot of things to consider when you’re in the market for a machine, and you’ve got to find the best fit for you. 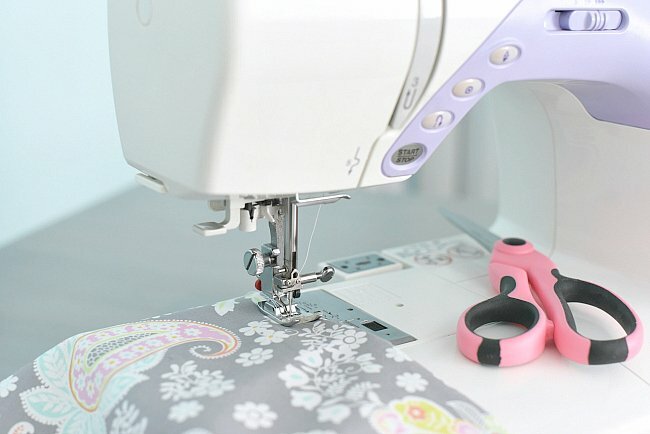 Here’s a rundown of some of the best beginner sewing machines with some information about each one so that you can make a more informed decision. Although remember, just because you’re thinking about sewing for beginners right now, you won’t always be a beginner. So buy something that you’re going to love. Once you’ve got your sewing machine, it can still be very intimidating right? You’ve got to learn to thread it, learn how to change the settings and learn what all of those buttons mean. Every sewing machine is a little bit different, so your best bet is to start with the users manual. But don’t let this scare you. It isn’t particularly hard to thread a machine (especially with some of the new bells and whistles they have to make it easier) and most beginner machines aren’t going to have too many settings to overwhelm you. So grab your manual, sit down with the machine and take a look. Maybe have something chocolate nearby to keep things happy and then be patient. Just practice threading and getting the machine set up. If you’d like a peek into what most sewing machines are going to involve as you get started, try my How to Use Your Sewing Machine. I’ll walk you through some of the basics and hopefully at least lay the groundwork for you to get going in your beginning sewing journey. There are some basic things you are going to need in order to get started with sewing for beginners. First of all, you’re going to need some basic supplies like fabric, thread, a seam ripper, pins, scissors, and bobbins. Those are some of the most basic supplies needed (and of course there are so many more things you could buy as you go) to get going. For more details on what you’ll need to get started sewing, check out my Beginner’s Sewing Supplies guide. Also, as you begin to read patterns and instructions, you’re going to come across a lot of unfamiliar words. Terms like basting and bias can be confusing but can be important aspects of what you’re working on. If you get a little lost, check out this Sewing Dictionary for some descriptions of the basic words. It’s time! You know how to thread that machine, you’ve got your supplies ready and you’re sitting in front of your machine. It’s time to sew something. But how? As mentioned earlier, there are local shops that teach sewing lessons in store. If you want hands-on instruction and a teacher who can answer questions for you, this might be a great option for you. Another possibility is to find a friend or relative who can walk you through the basics of learning to sew. Someone who can sit you down and teach you to sew a straight line or what some of the basic terms mean and get you started on the path of sewing for beginners. If you prefer a self-taught, learn at your own pace method, try these free Learn to Sew lessons online. These will walk you through beginning sewing-from sewing a straight line to adding elastic and buttonholes. They are basic and easy and you can learn as you go with projects to work on to help you try each skill. Or, try a combination of the above. Work on the online sewing lessons and meet with a friend or teacher who can help you periodically as well. 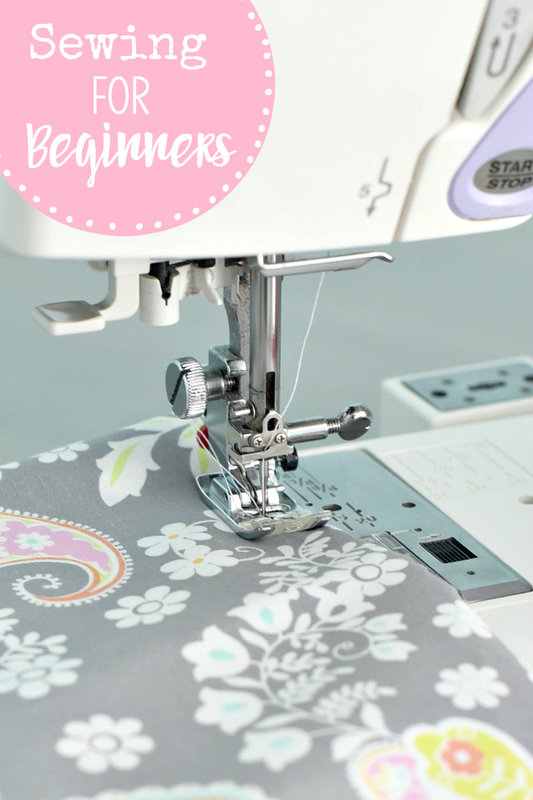 There are so many lessons on sewing for beginners. What’s important is to sit down and start trying. And don’t expect perfection from the beginning. Remember that learning to sew takes a lot of time and practice and it’s ok if you make mistakes. But what to sew right? You dream of all the projects you’ll create, but it can hard to know where to begin. 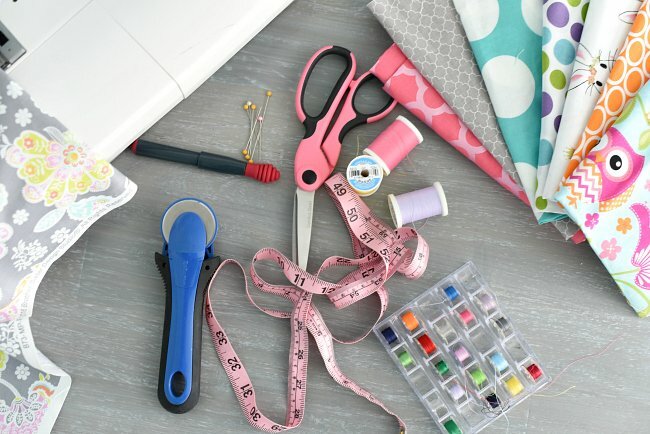 Whether that’s because you have so many ideas or because you are scared to start, it is best to start with some very easy beginner sewing projects. 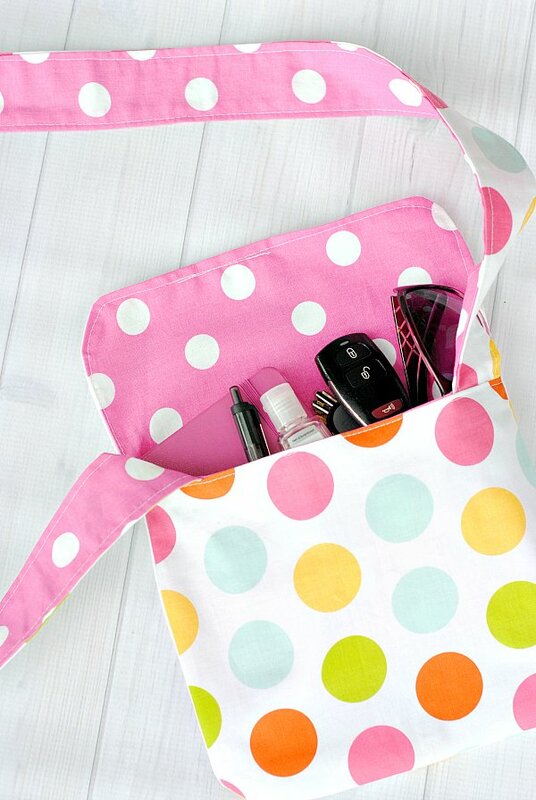 Household items can often be some of the easiest sewing projects to get started on. 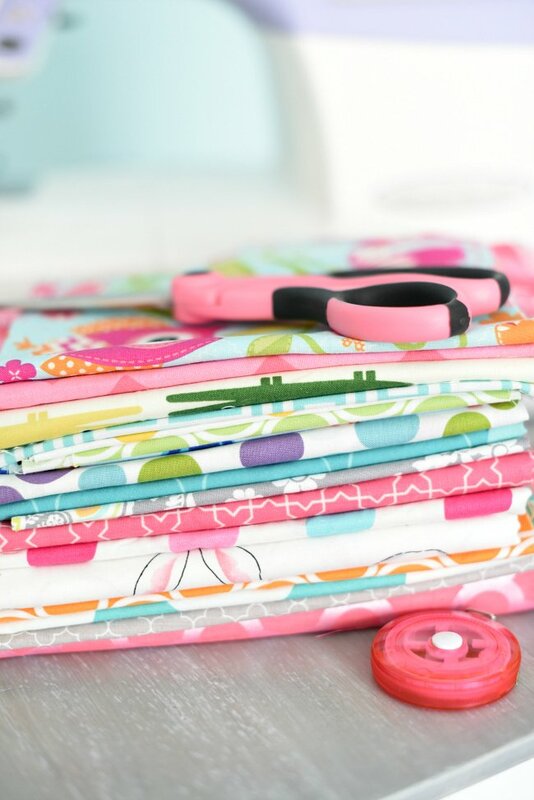 Clothing can be more difficult, so starting with things like blankets or pillows or even burp cloths or key fobs can be simple sewing projects to start with. The internet is FULL of easy, beginners sewing projects. Jump on Pinterest and you’ll be inundated with them. You’ll probably be either overwhelmed or really excited. If you need some inspiration, try my Things to Sew Pinterest board. Then, as you get more comfortable and confident with your sewing, move on to some slightly harder projects. Take it at your own pace and do what works for you. Remember, sewing should be fun, not frustrating. But also remember that the seam ripper is your friend and it’s normal to use it frequently. Mistakes happen. As you progress you will learn more and more skills relating to sewing. Maybe you want to learn to quilt? Maybe you’re dreaming of sewing clothing? There are so many possibilities and a lot of fun techniques to try out as you progress. Are you ready to get started? You’ve got this! You can learn to sew and you can have fun doing it! Enjoy the learning process. Thank you with tutorials that i have taken from your site. i just bought a mini sewing machine that helped me to know a bit about sewing. recently i have been learning to sew pouches but the problem i have was to understand the kind of materials i should choose, apart from that am learning a lot from you. I wish there could e somewhere on your site where i can post pictures of what i did. hanks a lot and still gonna learn more till a master this sewing thing. overall i just love some DIY, always check kinds of creativity that other people post and try to do them. Thank you so much for taking the time to make these sewing posts. I’ve just bought my first machine and I’ve learned a lot already from reading through here. Yay! Good luck with the new machine! Hi im really struggling. How do i sow something, say the wrong way n put it the right way so it looks neat. I can sow something around 3 sides then i struggle to sow it together without the seams showing. You will need to sew most of the way around and then leave a small opening (a few inches) and turn it right side out through that opening. Then you will sew that opening shut once it’s all the right way. Something to think about if you’re a beginner like I am: Good reliable vintage sewing machines can be found for $20.00 (more or less) if you know where to look. The all metal mechanical ones will last forever if properly maintained and they’re usually fairly simple. In addition, if it doesn’t work out, you’re only out a few dollars instead of possibly several hundred. Thanks so much for this page, feeling alot less “what have a gotten myself into” and more “oh yeah I can totally do this”! That is such a good starting point if you begin to sew! thankt for putting this helpfull information together with all these further links. Hi I’ve found this so helpful, I’ve yet to buy my machine, but have sewn when younger (mother being a dressmaker as a living) now semi retired, you’ve encouraged me to take it up as a hobby… thanks..
Good for you! Happy to help! Hi Amber! What are bobbins for, I’m only 10 and still learning the process. I am interested in learning how to sew clothes for my family and myself. I have no idea where to begin… with what machine or where I can get the training to be able to use the machine for the purposes I have in mind. Well, I’d say this post is a good place to start. Just read all of the posts linked to from here and then start the learn to sew lessons. I just bought a vintage camper I’m remodeling, and decided to sew my own curtains and pillow covers, and am recovering the seat cushions. Got a cute little beginner machine, fabrics, and all the notions, and am ready to go! Going to put those ancient home ec classes to use! Thanks for all your info and the links to more. Wish me luck! Best of luck! What a fun project!